King of Pop Michael Jackson won MTV Movie Award for Best Movie Song in 1994 for Free Willy. Michael Jackson is a singer, songwriter, dancer and celebrity icon with a vast catalog of hit records and countless awards to his credit. Beyond that, he has transfixed the world like few entertainers before or since. As a solo performer, he has enjoyed a level of superstardom previously known only to Elvis Presley, the Beatles and Frank Sinatra. Jackson became an instant star at age 11 as the cherubic frontman in Motown's phenomenally successful family act, the Jackson 5. But that band of brothers, who kicked off their Motown tenure in 1969 with the unprecedented feat of four consecutive #1 singles, was just a prelude to the heights he would scale as a solo artist in the Eighties with the success of Off the Wall, Thriller and Bad. Those three albums, and their accompanying videos, sent Jackson into a high celebrity orbit. He has been proclaimed "the biggest-selling artist of all time," "the single most awarded entertainer the world has ever known," "the most popular artist in the history of show business," and, not so modestly, "the world's most famous man. He is also, by his own reckoning, the "King of Pop." However, it was Thriller that broke all records, revitalizing and revolutionizing the music business. Released in November 1982, Thriller yielded a staggering seven hits: "The Girl Is Mine" (#2) "Billie Jean" (#1), "Beat It" (#1), "Wanna Be Startin' Somethin" (#5), "Human Nature" (#7), "P.Y.T. (Pretty Young Thing)" (#10) and "Thriller" (#4). The album received sales boosts with Jackson's electrifying performance on the May 1983 Motown 25th Anniversary Special, where he premiered his gravity-defying "Moonwalk," and the year's-end release of the 14-minute mini-movie based on the song "Thriller." The latter is considered the most important video clip in music history. Jackson employed the burgeoning medium of music video to maximum advantage, as his revolutionary videos became fixtures on MTV, which was only a year old at the time of Thrillers release. Thriller topped the charts for nine months (37 weeks) and remained in Billboards album chart for more than two years (122 weeks). Jackson won eight Grammy Awards and seven American Music Awards for Thriller. In 1985, it was proclaimed the Best Selling Album of All Time by the Guinness Book of Records. As of July 2001, Thriller has sold 26 million copies in the U.S., making it the second best-selling album in history behind the Eagles Greatest Hits (27 million). Worldwide, Thriller has sold 51 million copies. Beyond the numbers, how important was Jacksons record-shattering feat? As producer Quincy Jones told Time magazine, Black music had to play second fiddle for a long time, but its spirit is the whole motor of pop. Michael has connected with every soul in the world. In 1985, Jackson helped to topple another sales record. As the coauthor of and performer on "We Are the World" - a benefit single for the USA for Africa charity, recorded with a cast of music stars - Jackson had a big hand in what became the top-selling single up to that point in history. Michael Jackson didnt quit the Jackson 5, even at the height of his stardom, yet his solo career obviously took precedence. Still he showed family loyalty by joining his brothers for the Jacksons' 1984 Victory album and tour. In fact, Michael never toured as a solo artist until after the release of Bad (1987), when he undertook a 15-country juggernaut that occupied much of 1988. Bad was #1 for eight weeks and launched another seven hits, including five that topped the charts: I Just Cant Stop Loving You, Bad, The Way You Make Me Feel, Man in the Mirror, Dirty Diana. Bads canny use of urban beats, smooth jazz-funk and rock guitar in the service of some of the sharpest black pop ever recorded reaffirmed Jacksons peculiar genius and star quality. But some of its songs also hinted at the pressures that lay beneath the surface of his unfathomable superstardom. Jackson's every move was reported and analyzed by the media, and his quirks became headlines for a period of years. Some of his behavior engendered real controversy, driving him to exile abroad or behind the walls of the fantasy-filled Encino, California, estate he called "Neverland." All the while, Jackson continued to make arresting music in the Nineties, working with cutting-edge artist-producers from the hip-hop arena. 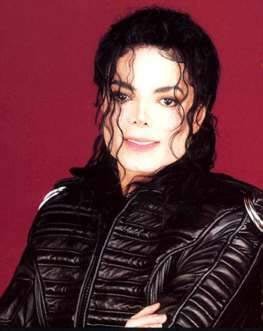 Dangerous appeared late in 1991 and was preceded by an extended video for its leadoff single, Black or White. Topping the charts for seven weeks, Black or White became Jacksons biggest hit since Billie Jean. 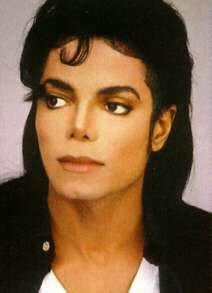 Dangerous, like Thriller and Bad, was the source of seven more hit singles. In addition to Black or White, they included Remember the Time (#3), In the Closet (#6) and Will You Be There (#7). In 1995, he issued HIStory: Past, Present and Future - Book I, a double album that paired 15 new songs with a greatest-hits disc. Its first single, Scream, was a duet with sister Janet Jackson set to a high-tech groove. He scored his thirteenth #1 hit in 1995 with You Are Not Alone, written and produced by urban R&B star R. Kelly. The album debuted at #1 and sold 7 million copies (15 million worldwide), maintaining the multi-platinum standard set by Bad (8 million U.S., 25 million worldwide) and Dangerous (7 million U.S., 27 million worldwide) - awesome numbers all, paling only next to Thrillers historic and unbeatable figures. In recent years, he has toured abroad and attended to his charitable foundation, Heal the World. His first album of the new millennium, Invincible, will be released in September 2001. Michael Jackson is born in Gary, Indiana. Michael Jacksons first solo single, Got to Be There (#4 pop, #4 R&B), is released. Already hes had eight Top Forty hits with the Jackson 5, including four consecutive chart-toppers. Ben, the title song from a film about a beloved rat, becomes 14-year-old Michael Jacksons first #1 single. 'Off the Wall,' the first album by the adult Michael Jackson (who turned 21 this very month), is released. It produces four hit singles and spends eight months in the Top Ten. Diana Ross single Muscles, written and produced by Michael Jackson, enters the Top Forty. Inspired by Jacksons snake of the same name, the song peaks at #10. A storybook album for 'E.T. : The Extraterrestrial,' is released. Featuring narration by and a new song from Michael Jackson, it earns him a Grammy for Best Childrens Recording. Michael Jackson's 'Thriller' is released. 'Thriller' tops the album charts for the first of 37 weeks. Billie Jean, the second single from Michael Jacksons 'Thriller,' tops the singles charts for the first of seven weeks. The TV special 'Motown 25: Yesterday, Today and Forever' is taped. The Jackson 5 perform a medley of their hits, then Michael sings "Billie Jean" (from 'Thriller') by himself, premiering his "moonwalk" dance move. The show airs on May 16, and Jackson's' segment is a highlight. "Beat It," by Michael Jackson - which features a blistering Eddie Van Halen guitar solo - is premiered on MTV. Its high-energy fusion of rock and soul drives it to the top of the charts. MTV debuts Michael Jackson's 14-minute "Thriller" film. 'The Making of Michael Jacksons Thriller,' released in time for Christmas, becomes the largest-selling music home video ever. MTV world premieres the Jackson's Pepsi commercial and presents an interview with director Bob Giraldi. MTV debuts Michael Jackson's 14-minute "Thriller" film. I Just Cant Stop Loving You, a duet between Michael Jackson and Siedah Garret, is released in advance of the album 'Bad.' It is the seventh #1 single of his solo career. 'Bad,' by Michael Jackson - the followup to Thriller and therefore the most hotly anticipated album in history - is released. It tops the charts for eight weeks and yields seven hit singles. MTV CEO Tom Freston and MTV VJ Adam Curry present Michael Jackson with Video Vanguard Artist of the Decade award in Los Angeles. Michael Jacksons controversial 11-minute Black or White video debuts on television. It is a teaser for 'Dangerous,' his third #1 album in a row and the source of seven more hit singles. MTV kicks-off its first global sweepstakes with My Dinner with Michael. 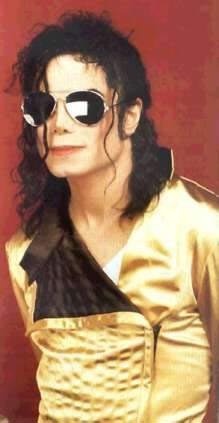 Winners from around the world attended a dinner party hosted by Michael Jackson on the set of his music video In the Closet. Michael Jacksons halftime performance at Superbowl XXVII draws the largest viewing audience in the history of American television. Michael Jackson receives the Living Legend Award at the 35th Annual Grammy Awards in Los Angeles, and 1.2 million people worldwide view his performance and acceptance. Lawyers for a 13-year-old boy file a civil suit against Michael Jackson for seduction and sexual abuse. On December 22, Jackson responds to the allegations via satellite from his Neverland compound: I am totally innocent of any wrongdoing. 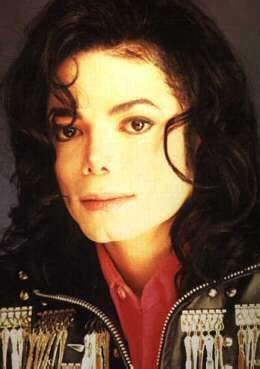 On January 25, 1994, he settles out of court with his accuser for an undisclosed sum, estimated at $20 million. Michael Jacksons 'HIStory: Past, Present, and Future, Book 1,' a double CD pairing one disc of new music with one of greatest hits, is released. The 1995 MTV Video Music Awards is held live from New York Citys Radio City Music Hall. The show is hosted by Dennis Miller. Michael Jackson and Janet Jackson win three awards for Scream and TLC win three awards for Waterfalls. 'Blood on the Dance Floor: HIStory in the Mix,' by Michael Jackson, is released. Containing eight remixes from 1995s 'HIStory: Past, Present, and Future, Book 1' and five new songs, it sells only one million copies. Michael Jacksons 'Thriller' receives its 26th platinum certification from the Recording Industry Association of America (RIAA), representing 26 million copies sold in the U.S. It remains the second best-selling album in music history. Michael Jackson is inducted into the Rock and Roll Hall of Fame at the sixteenth annual induction dinner. NSync are his presenters. Rock My World, the premiere single from Michael Jacksons forthcoming album 'Invincible,' is debuted. 'Invincible,' Michael Jacksons first album in four years, is released. Featured guests include Carlos Santana, Will Smith and Missy Elliott. My Childhood, My Sabbath, My Freedom. "While singing and dancing were, and undoubtedly remain, some of my greatest joys, at that time what I wanted more than anything else were the two things that make childhood the most wondrous years of life, namely, playtime and a feeling of freedom. The public at large has yet to really understand the pressures of childhood celebrity, which, while exciting, always exacts a very heavy price. More than anything, I wished to be a normal little boy. I wanted to build tree houses and go to roller-skating parties. But very early on, this became impossible. I had to accept that my childhood would be different than most others. But that's what always made me wonder what an ordinary childhood would be like." Michael Jackson tells that he learned a lot about Sabbath from Rose Fine, a Jewish woman who was his tutor during the times when he performed with his brothers as The Jackson Five, and also from his friend Rabbi Shmuley Boteach. "Up to 1991, the time of my Dangerous tour, I would don my disguise of fat suit, wig, beard, and glasses and head off to live in the land of everyday America, visiting shopping plazas and tract homes in the suburbs. I loved to set foot in all those houses and catch sight of the shag rugs and La-Z-Boy armchairs with kids playing Monopoly and grandmas baby-sitting and all those wonderfully ordinary and, to me, magical scenes of life. Many, I know, would argue that these things seem like no big deal. But to me they were positively fascinating. Sundays were sacred for two other reasons as I was growing up. They were both the day that I attended church and the day that I spent rehearsing my hardest. This may seem against the idea of "rest on the Sabbath," but it was the most sacred way I could spend my time: developing the talents that God gave me. The best way I can imagine to show my thanks is to make the very most of the gift that God gave me." "When I look into the eyes of my son, Prince, and daughter, Paris, I see miracles and I see beauty. Every single day becomes the Sabbath. Having children allows me to enter this magical and holy world every moment of every day. There have been times in my life when I, like everyone, has had to wonder about God's existence. When Prince smiles, when Paris giggles, I have no doubts. Children are God's gift to us. No--they are more than that--they are the very form of God's energy and creativity and love. He is to be found in their innocence, experienced in their playfulness." The article also mentions, that Michael Jackson and Rabbi Shmuley Boteach, who recently launched an initiative that aims to raise awareness of how important it is for parents to spend enough time with their children, are working on a book about "what parents and adults can learn from children and how men and women may recapture lost, yet virtuous, childlike qualities." About "Billie Jean" video: "I think it was Billie Jean. It's kind of surreal and it's different. I didn't come up with that concept. It was - I think a British fellow - Steve Barron - and I thought he had wonderful ideas but I let him go with it. The only part I wrote in the piece was - I said: "I just want a section." I said: "Give me a section here I could dance on." 'Cause he said no dancing in the whole piece - so the whole section where you see this long street and this billboard of these two girls, one of them Billie Jean and I'm dancing - that's the only part I contributed." About "Beat It" video: "Well, when I wrote 'Beat It' - I don't know why, but I did - about, you know, two gangs coming together and the song is so self-explanatory that it's so easy to make this short film. And I'd seen - I think it was a McDonald's commercial - and I said: "God, I like the rhythm and the cut of this commercial." I said, "I want this director for this piece." So I reached out to him." When asked what makes a great video: "In my opinion, it has to be completely entertaining and have a sense of, a linear sense of continuity." Talking about "Thriller": "Hi, I'm Michael Jackson. My idea was to make this short film with conversation ... in the beginning - I like having a beginning and a middle and an ending, which would follow a story. I'm very much involved in complete making and creating of the piece. It has to be, you know, my soul. Usually, you know, it's an interpretation of the music." About John Landis: "I love working with John Landis cause we laugh a lot. We are never serious on the set. [laughs] So it's fun working with John. I used to throw water balloons, and stink bombs and everything at him. That's a ritual for me. After we rap up each video, I throw a lot of stuff at everybody. [smiling] So that's funny." About Vincent Price's contribution to the "Thriller" video: "That was one of the first raps, actually. I've known Vincent Prince since I was 11. He did a great job. The first time I met him, it was at NBC studios. He said, "Come here!" like that [MJ pointing his finger], in his kinda gruesome voice, and I started to cry because I was - I thought he was serious. I used to see him by turning the channels and those kinda things. I think he was in "Raven" and "House Of Wax" or something, so he scared me. About the zombies appearing in "Thriller": "I like the scene when all these zombies are coming toward us and she thinks she's safe with me, you know, being her boyfriend, and she looks over to me and I become one. And then we do these famous fall in and pull out movements. The Hitchcock move. And I love that moment. I remember my original approach was how do you make the zombies and monsters dance without being comical. So I got in a room with Michael Peters. He and I together kind of imagined how zombies should move. I thought it should start, you know, like - that kind of thing [miming the dance], going into this kind of jazzy stuff." About creating videos [version I]: * The idea is to take it a step forward and to innovate or else why am I doing it? I'm just - I don't wanna be just another can in the assembly line. You know, I want to create, do something that's totally different and unusual. About creating videos [version II]: * "You know, I want to, you know, create, do something that's totally different and unusual, to take it a step forward and to innovate, or else, why am I doing it? I knew if we did something with substance and content that people would watch and it had a great entertainment value and if it held you, I knew it'd be okay." * [MTV aired 2 different versions of Michael's comments about creating videos. One version during the original broadcast and another during rebroadcast. TV Guide:"Thriller" changed music videos forever. Where did you get the idea? Michael Jackson: My brother Jackie came to my house and said, "Are you watching this show that's on TV? All they do is play music. It's MTV." I put it on and thought the concept was very interesting. What I didn't like were the videos that were a collage of images; I thought that if I were to do one, I would do something with a beginning, a middle and an ending, like a short film. TVG: Did you ever imagine that Thriller and the videos from the album would catapult your career into the stratosphere? MJ: I didn't really think about how the album would do; I just wanted to create what I would enjoy seeing. And my main goal for the video "Thriller" was to do something that would be scary, fun and exciting. TVG: How do you look back on that whole era now? MJ: I see it as a happy time and a sad time. And an exciting time. Because it made a lot of my dreams come true. The notoriety was wonderful. TVG: You also said it was a sad time. MJ: Yeah. If I don't get exactly what I'm looking for, I get very depressed. TVG: You mean the album still didn't live up to what you had envisioned? TVG: Which songs disappointed you? TVG: "Wanna Be Startin' Somethin'." Songwriting is a very frustrating art form. You have to get on tape exactly what's playing in your head. When I hear it up here [points to his head], it's wonderful. I have to transcribe that onto tape. "The Girl is Mine" wasn't completely what I wanted, but it's very nice. But "Billie Jean" is there. I worked so hard on that. I worked for three weeks on the bass lick alone. TVG: The glove, the white socks, the red leather jacket -who came up with those things? MJ: The glove was just -I thought one was cooler than two. I love to accent movement. The eye goes to where the white is -you know, the glove. And the feet, if you're dancing, you can put an exclamation point on your movement if it has a bit of light on it. So I wore the white socks. And for the design of the jacket, I would sit with the people who made the clothes and tell them where I wanted a button or a buckle or a design. But I don't wear that look anymore. It's sad to get caught up in the past. That's why I don't put awards in my house. No gold records, no Grammys. They are in storage. I don't like to be puffed up with pride, 'cause i'd feel like I don't have anymore things to reach for. And that's not true. TVG: Do you feel like your most creative period is yet to come? MJ: I think the best work is coming, but I would like to go into other areas, not keep doing album after pop album. TVG: Are there artists that are doing interesting things musically? MJ: There's some wonderful creative ideas, but I don't think anybody's being innovative. They're mostly grabbing the old and trying to integrate it with the new. TVG: Is there anyone you'd like to work with? MJ: There are a lot of artists I admire, but no. TVG: What is your favorite music? MJ: You would be shocked. This morning I was singing Rodgers and Hammerstein. That's the stuff I sing around the house -"My Favorite Things" from the "Sound of Music" and "Absent Minded Me," that Streisand song. I'm also a fan of the great old MGM musicals. I love show tunes. I'm a big fan of melody. TVG: What's your favorite song to perform? MJ: "Billie Jean," but only when I don't have to do it the same way. The audience wants a certain thing. I have to do the moonwalk in that spot. [laughs] I'd like to do a different version. TVG: Who's your audience today? MJ: I don't know. I just try to write wonderful music; and if they love it, they love it. I don't think about any demographic. The record company tries to get me to think that way, but I just do what I would enjoy hearing. TVG: Is there a new Michael for the new millennium? MJ: Yeah. I have a couple of things planned. I think it's going to be totally different than what I did before. There's a song on the new album called "I Have This Dream." It's a millennium song about the world and the environment that I co-wrote with Carole Bayer Sager and David Foster. TVG: Do you think you will tour again? MJ: I don't think so. It takes a lot out of me. TVG: You rarely travel in public without a disguise. Why? MJ: I don't see any other way. I have tried everything [laughs] Fat suits. Nuns. Clowns. Trick or treat is the best for me. And Mardi Gras. TVG: Do you think you will ever be able to walk around freely just as yourself? MJ: I do disguises for different reasons. I like to study people -be like the fly on the wall. Even if it's two old ladies sitting on a bench or some kids on a swing. Because I don't know what it's like to fit in an everyday life situation. One time I was in a record store, completely disguised, and these girls were pulling out my album, talking all about me. I was literally next to them. It was wonderful. I loved it. But if I go out as myself, I can't have fun. People always say, "Why don't we just go to a party?" Soon as I step in, the party's over -for me. It's a party for them, but they are all putting their cards on my face, saying, "Remember me? I met you four years ago at" and I say, "I don't remember." So I can't enjoy the experience. They play all my songs. I didn't come to hear my music. And everybody starts chanting "Dance!" "Well, I want to see YOU dance for a change." TVG: Do you think, given all the negative press that you have had, the people will judge you solely on your music? MJ: I don't think so. 'cause the press has made me out to be this monster, this crazy person who's bizarre and weird. I'm nothing like that. TVG: Is there anything you can do to change that impression? MJ: Well, all I can do is be myself and create from my soul. But they take that and manipulate it. TVG: But what will make you seem OK to people who think "He's weird, he has exotic animals in his house, or MJ: God created animals and they are loving, they are beautiful. I feel the way anthropologist Jane Goodall does, or any of those naturalists. I don't find my interest in animal weird or strange at all. TVG: What about the plastic surgery? MJ: All of Hollywood has plastic surgery! I don't know why they point me out. The press exagerated it. It's just to my nose. They want it to be everything. Just the nose isn't enough. Elvis had his nose done -Lisa Marie told me. They don't talk about that. They singled me out. It's not fair. TVG: OK, well, now that you bring up Lisa Marie, I read that she said she regrets not having had your son and that she may still want to have a child with you. Is that true? MJ: I remember that's how she felt at the time [laughs]. No matter what I say, I'm in trouble with this question. The next issue of TV Guide will probably say "Well, Lisa said she doesn't ever want to see him again!" TVG: Are you two friends now? MJ: Lisa's sweet. I like her very much and we are friends. And who knows what tomorrow brings? I have no idea how she feels today. I'll just say that. She comes to my house and sees the children, and we talk on the phone, that sort of thing. TVG: Do you think you will marry again? MJ: That would be nice. TVG: What would make the third time the charm? MJ: It just has to hit me. You have to see that person and go, "This is it. This is the one." TVG: Did you feel that way with both of your marriages? TVG: Do you wish you were still married? MJ: Yeah. I do. But you have to do what's best. What happens happens. You have to respect that. TVG: Who are your closest friends? MJ: Elizabeth. We go to the movies every Thursdays. TVG: You go to a regular movie theatre? TVG: Let's talk about your kids. I have to ask about this business in the papers recently about you and Debbie not being the biological parents of your children, about her being implanted with another woman's egg and then impregnanted by artificial insemination. MJ: That's total garbage. It's just trash and not true. TVG: Do the kids live with you at Neverland? MJ: They were at Neverland two weeks ago. I think they realized for the first time that it's their home. They used to always think it was some hotel resort. We stay in hotels everywhere. They didn't realize that the train and the train station is for them, and those rides are for them. Now they go "We want to go to Neverland!" TVG: What are their personnalities like? MJ: Prince tells me all day that he has to make movies. So I bought him this video camera. I say, "What are we doing this time?" He goes, "Star Wars." So we put some figures on the table, make them move. And Paris is just now starting to talk and walk. She's very sweet. And I'm surprised she loves dolls. My sister Janet didn't like that sort of thing. She was a tomboy. I thought she was going to be like that but she isn't. TVG: And you're changing diapers and feeding them? MJ: Yeah, I love it. It's a lot of work. I thought I was prepared 'cause I read everything about child rearing, but it's so much more exciting than I ever imagined it to be. The only regret I have is that I wish I had done it earlier. TVG: Do you sing and dance for them? MJ: That's how I keep them quiet if they're crying. If I just start dancing, they shut down. TVG: Do you want to have more kids? MJ: Definitely. I told my father I'm going to match his record. He had 10. TVG: What is your relationship with your father like now? You were estranged from him for a while? MJ: I have the best relationship now that I've ever had with him. I think with age and time, he is really mellowed out to become a nice person. He'll simply say to me "How are you doing? Are you eating? That's all I wanted to know." Not, "Did you sign that contract?" He just wants to know if I'm OK. I think that's really nice And my mother is like the perfect Angel. TVG: At 41, are you happy? MJ: Well, I usually am happy. I don't let anything get me down, no matter what. I like to hear the sound of water and birds chirping and laughter, you know. I love all the real natural, innocent things. I would never go to a party or a club. I did that when I was a kid, and I don't care to do it anymore. TVG: I found it jarring to read a recent quote in which you said that if it weren't for your desire to help the children of the world, you would throw in the towell and kill yourself. Do you really feel that way? MJ: I always have, 'cause I would feel I have nothing to live for. TVG: Not even for yourself and your own creativity? MJ: I wouldn't care. Everything I create is inspired by that kind of innocence. And nature, it's everything. It has to be. I mean, that's it. Included in the article accompanying the interview is a quote from Michael about his forthcoming album which he describes as being "happy, dance music, relationship stuff." The interview was done in November 1999 in New York. My childhood was completely taken away from me. There was no Christmas, there were no birthdays, it was not a normal childhood, nor the normal pleasures of childhood - those were exchanged for hard work, struggle, and pain , and eventually material and professional success. But as an awful price, I cannot re-create that part of my life. However, today, when I create my music, I feel like an instrument of nature. I wonder what delight nature must feel when we open our hearts and express our God-given talents. The sound . . . of approval rolls across the universe, and the whole world abounds in magic. Wonder fills our hearts, for what we have glimpsed, for an instant, the playfulness of life. I also want to thank all those who have helped me to channel my talent here on earth. From the beginning, my parents, all my brothers and sisters, especially Janet. I am so proud of her, it's incredible. I mean, I remember when we were little, I used to ask her to be Ginger Rogers, while I was Fred Astaire..... The Motown family, my teacher Berry Gordy. Diana Ross, I love you. Suzanne De Pazze. The wonderful, great Quincy Jones. Teddy Riley. My new godson Michael Gibb. My new Sony family, Akio Morita, Mickey Schulhoff, Tommy Motola, Dave Glew, Polly Anthony . . . Thanks for making one of my most creative efforts, the album Dangerous, such an incredible success. I love you all so much. Sandy Gallin, Jim Morey. All the fantastic fans around the world - love you very much.
" In truth, I really didn't want the album to be about old songs, you know. It is a Greatest Hits album - to me most Greatest Hits Albums are boring, you know, and I wanted to keep creating. You know, the new songs are very different. They are autobiographical, I mean they came from the heart - they are myself. They are not my songs anymore, it's the way I feel they belong to everybody now." Scream: "Sometimes the only thing you can do is scream. (laughs) Don't you ever feel this way? You just wanna let it all out. People should listen and decide for themselves. "Our personal history begins in childhood and the song "Childhood" is a reflection of my life, years ago, when I was much younger. And it's about the pain, some of the joys, some of the dreaming, some of the mental adventures I took because of the different lifestyle that I had being a child performer. I was born on the stage and "Childhood" - it is my mirror - it is my story." "I remember writing Earth Song when I was in Austria, in a hotel. And I was feeling so much pain and so much suffering of the plight of the Planet Earth. And for me, uhm, this is Earth's Song, because I think nature is trying so hard to compensate for man's mismanagement of the Earth. And with the ecological unbalance going on, and a lot of the, uh, problems in the environment, I think earth feels... feels the pain, and she has wounds, and it's about some of the joys of the planet as well. But this is my chance to pretty much let people hear the voice of the planet. And this is "Earth Song". And that's what inspired it. And it just suddenly dropped into my lap when I was in... on tour in Austria." "Stranger in Moscow was written, uh, when I was in Moscow on the Dangerous-Tour. And it was just a strange, eerie, lonely time for me. Outside my hotel was just a sea of faces of... of fans chanting and screaming. But I was inside my room and I felt so all alone, like I was the last person of the planet. And in the song I say "How does it feel when you're alone and you're cold inside." uh, I say "It's like a stranger in Moscow" and that's pretty much how I felt. And the people were some of the nicest people I've ever met. And the concert was very successful, but, uhm, that day, especially that day, I just felt this different feeling and the song "Stranger in Moscow" came to me. So, that's how it was written." "One of my favorite songs to record of all of my recordings as a solo artist is probably "The Girl is Mine", because working with Paul McCartney was pretty ex... exciting. And we just literally had fun. It was like lots of kibitzing and playing and throwing stuff at each other and making jokes. It was just a lot of fun, and we actually recorded the track and the vocals pretty much live at the same time, and we do have footage of it, but it's never been shown. Maybe one day we'll give you a sneak preview of it." "I think the most fun short film or video that I've ever made hat to be "Thriller". I just loooooved becoming a monster (laughs) because it gave me a chance to pretty much become someone else. It was just fun hiding behind this mask and just really letting this part of you, your body or your feelings out, but hiding behind a different character. And it was just thrilling for me to make that. And the dance, and all the morphing, and all the fun things that we did...it's so memorable." "When I was very little, around 10 years old, I used to go on these tours with my brothers, The Jackson Five, and I'd hear these crazy stories that (laughs) these girls would claim my brothers hand relationships with the, which they didn't and that they were going to have their children. And I thought that to be so strange and so crazy. And then, a couple of years later, there was this girl, named Billie Jean, who used to stand outside my gate. And I would drive outside the gate and she would say "Here's the keys to our car" and she would say "Here's the keys to the front door" She would say that I am actually the father of her child, which never ever happened... And that inspired the song cause the chorus goes "Billie Jean is not my lover, she's just the one who claims that I am the one, but the kid is not my son" So, I guess that's how that happened."